Till version 4.1 of designer when a new report was created all new empty cells from new rows or new columns were 'null'. That means when we select an empty cell no properties are seen in corresponding panel. Secondly, to merge one or more cells, only one cell must be not-empty and all the others must be null. These facts make it harder to accomplish layout formatting for your reports. 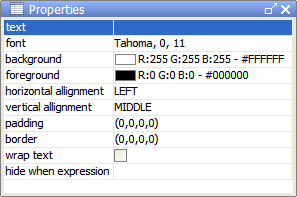 Starting with 4.1 version, when new empty cells are created, they will be by default text-based with an empty string. The only case in which a band element is null is in a cell span.